The Yakov "Make America Laugh Again" Show should require a caution sign as you enter the Yakov Smirnoff Theatre in Branson reading: Warning-Hold on to your seat ‘cause this guy is about to blow you away with dynamite comedy! This "guy," of course, is Branson’s Twice Voted Comedian of the Year, Yakov Smirnoff, the famous Russian Comedian. He delivers explosive laughter in a show filled with brilliant special effects, dazzling dancing, heartfelt moments, and just plain fun. Yakov’s entire show is packed with comedic tall tales and witty perceptions, funny facts and huge laughs. As Yakov says, "What A Country", you'll be cheering for the red, white and blue and saying, "What A Show." Yakov keeps you in side-splitting laughter and patriotic wonderment. 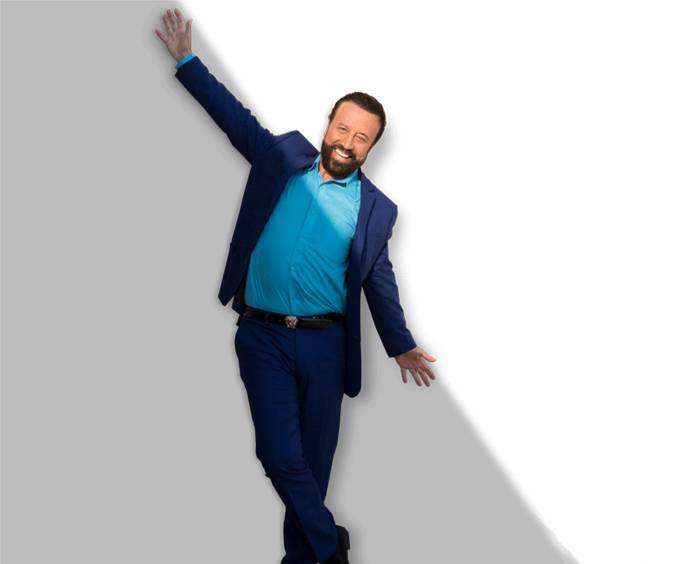 Yakov Smirnoff is a Russian-born American who presents to you his life experience and helps us all remember what it is like to be the 'new kid.' His comedic wit and humor always gets a crowd laughing. Yakov has performed in his own one-man show on Broadway, written a book and produced three videos and CDs. His movie appearances include "Brewster's Millions," "Moscow on the Hudson," "The Money Pit," and "Heartburn." He's appeared in dozens of media features, including Home & Garden, E!, USA Today, NBC, WGN and Lifestyles. Approximately how long is the Yakov "Make America Laugh Again" Show? The show is held at Yakov's Theatre. We absolutely loved the show, it was so funny and the additional entertainment was great. Can't wait to come back. He was so gratuitous in signing pictures when the show was over as well as having his picture taken with the people attending. Just a wonderful person, and a show we will definitely attend during our next trip to branson. Funny, funny man... Clean, family friendly, and even a few good lessons along the way about marriage and life. Yep this is one show that will make your visit to branson something you will remember. Unlike some other shows, the seats are wide and the rows very ample. It is comfortable and enjoyable all the way around..... What a program! There is no doubt that yakov has been doing comedy for 40 years-- he has perfected his art! Saw yakov - and was actually on stage volunteering for a segment in the second half of the show - i learned quickly that it wasn't just a country music show but so much more--the comedy outweighs any show in branson, the patriotism far exceeds any other show and gives you a renewed sense of patriotism, and he breaks down the importance of laughter and how laughter helps to show love, heal, and bring everyone together. I felt like i had attended some kind of motivational seminar that happened to be extremely funny and entertaining. He's got it figured out! A very good show. Here of his personal life and what he is doing now was very interesting. Plus he adds good humor to it. Tip: Pretty easy to get to this show being outside of town.